Hello, foolish mortals, and welcome to one of the THE most requested post/list I get from people on the reg over on Bookstagram (shameless plug, go follow me on insta @worldswithinpages). Over the last few months on bookstagram, it seems like I have developed a bit of a reputation. That reputation has been based on my newly found love of Stephen King as well as the endless number of books I have picked up in the last few months that fall under a genre that is often avoided at all costs: horror. Let me put this out there, I used to think I would hate horror novels! I thought I would get way too scared and would have nightmares and spend hours at night peering around at the shadows in my room, just waiting for a murdery ghost to try and kill me. BUT… I have since learned that, not only can I handle horror novels way better than I thought I would (better than scary movies, for sure), but I LOVE them and I can’t seem to get enough!! Bird Box was actually the very first horror book I read that made me realize “hey, I actually like this stuff!” If you’re into atmospheric stories that contain an air of supernatural mystery, this book is for you!Bird Box follows a woman named Malorie and her two children (called Boy and Girl) as they struggle to navigate life in a post-apocalyptic world where ~something~ is lurking. Seeing this ~something~ causes extremely gruesome acts of violence against others, and/or against yourself, which means closed eyes and blindfolds are mandatory at all times. This is the life that Malorie has been forced to raise her children in since the moment they were born, and one that she has suffered to survive while everyone else around her is dead. If there is ANY good news in this situation, or even a glimmer of hope, Malorie has become aware of a location where she and her children can maybe find safety and protection from the “monster.” The only problem? She isn’t positive where it’s located and, obviously, she will have to be blindfolded the entire way.Side note: The book is 400x better than the movie, so if you have seen the movie and were “meh” on it, don’t hesitate to give this one a go! 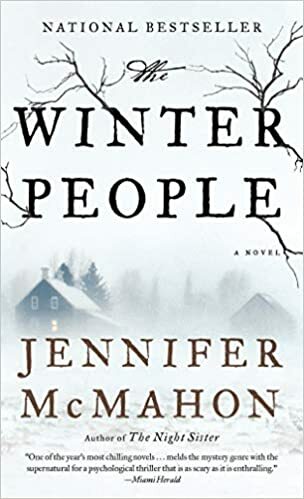 The Winter People would be a PERFECT introductory read to the horror newbie. While there are *~spooky~* things that are happening, it is the atmosphere of the setting that McMahon builds that really gives you the creeps. If you’re into books that suspend your satisfaction until the very end, this is a GREAT choice for you. “West Hall, Vermont, has always been a town of strange disappearances and old legends. The most mysterious is that of Sara Harrison Shea, who, in 1908, was found dead in the field behind her house just months after the tragic death of her daughter. It’s fairly likely that you have heard of this book, or the show that was inspired by it that had everyone sleeping with the light on during the winter months after it aired on Netflix. The funny thing is, this book is NOWHERE near as scary as the show. Not even close. Does it give you all the ghosty goodness that a haunted house story should? Of course! But don’t use the show as a barometer of how badly this book will scare you because the book and the movie are like your eyebrows should be: Sisters, but not twins. In case you’re not up to speed on what this book is about, it’s basically your formulaic haunted house story. A group of people are invited to stay at a mansion with a mysterious past and haunting ensues. What makes this book slightly more disturbing than most is that it combines external ghosty hauntings with internal mental hauntings (I don’t know what else to call it, okay? You’ll see…). This book would also be a good choice if you are trying to read more classics this year, but you don’t want to get bogged down by “ye olden tyme” syntax. Despite the fact that Stephen King is known for his unstoppable and uniquely disturbing prowess in horror, a few of his books sit very comfortably on the “mild side” when it comes to really getting under your skin. Carrie is one of those books. As King’s first novel, Carrie serves as a pinky toe dip into the cold pool of horror novels for his readers AND his own artistry. This book, in true King fashion, reveals creepy themes in multiple layers. It’s like an onion of fear (or an ogre). You’ll get unsettling flashbacks of teenage high school bullying, telekinetic violence, extreme religion-based manipulation and abuse, and disturbing scenes that bring you into the moment and inside the mind of Carrie as she deals with some pretty rough things. 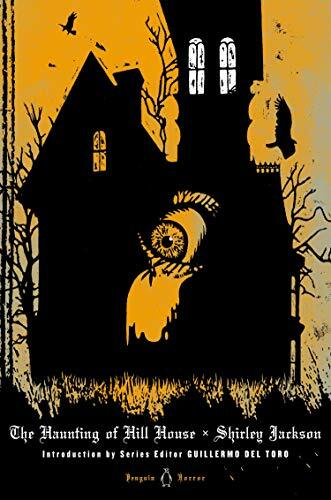 If you want to dive into more of a spooky haunted house setting that’s just slightly more brave than The Haunting of Hill House, The Grip of It by Jac Jemc will deliver. The cover art alone is a bit unsettling, and sets the tone for the entire novel. A young married couple, Julie and James, decide to leave the “big city” behind and settle into a house in a secluded wood that will allow them to focus on mending their tumultuous relationship and have a fresh start toward a new life. Little do they know, the house they move into has other plans, which makes sense, as it becomes very clear that it has a true mind of its own. Rooms disappear, disturbing smells and stains drift in and out of focus, bruises appear overnight on Julie’s body, and their off putting next door neighbor is just the icing on the creepy cake. When the pieces of the puzzle start to come together for what happened in the house that caused such unrest within, Julie and James, and their sanity, begin to unravel. What really happened in this house? Are the random labyrinth of rooms that appear and then decay really there or just a hallucination? Who is the next door neighbor and why does he keep watching their every move? Hopefully this list gives you a good place to start on your spooky horror journey! As someone who has been getting deeper and deeper into the horror genre, I will definitely be offering up more recommendations and reviews in the future, so be sure to keep an eye out for that post if you’re interested! I love horror novels, but I have only read two of these (King and Jackson). Thanks for the review! I am going to check “The grip of it” for starters. Cool.